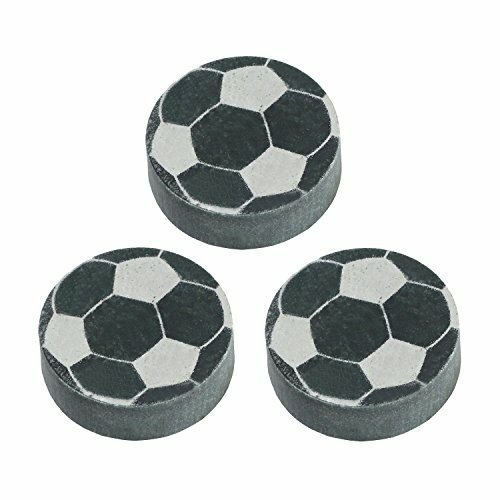 Chill drinks without diluting them by placing these sports ball shaped stones in the freezer and using in place of ice cubes in your cocktails. Set of 3. Choose from Footballs, Hockey Pucks, Baseballs, Basketballs, Soccer Balls or 8 Ball. Soapstone. 2"
Sagaform stands for joyful, innovative gifts for the kitchen and the set table. Indoors and outdoors. Joyful gifts for friends or family, or to spoil yourself with. Sagaform wants its brand and product range to be the obvious gift choice for Saturday nights? dinner hosts, or the new neighbour you want to welcome to the neighbourhood, or yourself when you want to brighten up your own day. SPARQ Whiskey Rocks give a new meaning to "on the rocks." Serve top-shelf liquor in way that gives guests a chill. Made from recycled soapstone, this modern-day version of the ice cube cools any small volume drink without the melted water. Simply freeze and pop them into whiskey, scotch, liquor and even wine. These sophisticated rocks chill the drink without diluting the taste. Coffee or tea losing it's heat too quickly? Pop one or two rocks into the microwave, drop them in your mug and enjoy your heated drink for longer. Our rocks won't scratch your barware either - our cubes have no sharp edges. The smaller stones in this set chill your drink about 12 degrees (using 3 stones). The smaller stones are good for smaller glasses. Results vary depending on volume and starting room temperature. Soapstone is the only non-porous, odorless, tasteless and a natural food-safe stone used in the home. 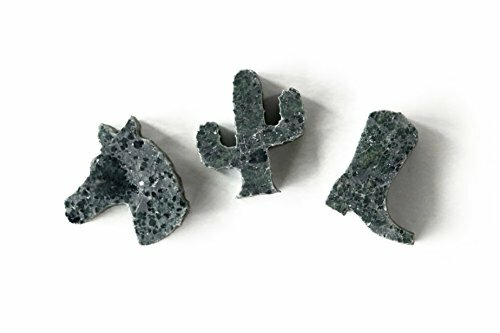 Due to the high density of the material, soapstone retains temperature better than stones like granite or marble, so you can expect a sustained chill or heat. 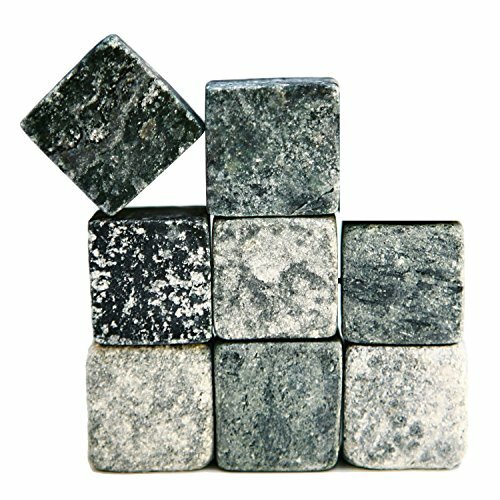 Soapstone is non-reactive to most common household cleaners and is dishwasher safe. SPARQ Home offers a full line of entertaining products designed to bring an elegant feel to any occasion. Specializing hand-crafted soapstone items, SPARQ Home delivers high-quality and visually appealing serve ware and tabletop products. Chill your drink without diluting it when you use SPARQ Home Whiskey Shapes - Man's Set. Cool this set of 3 stones in the freezer, then use them to keep your drink at a refreshing temperature for your next dinner party. These whiskey rocks are made of sturdy stoneware, so they're reusable and easy to clean. The perfect gift for your favorite whiskey aficionado. SPARQ Whiskey Rocks give a new meaning to "on the rocks." Serve top-shelf liquor in a way that gives guests a chill. 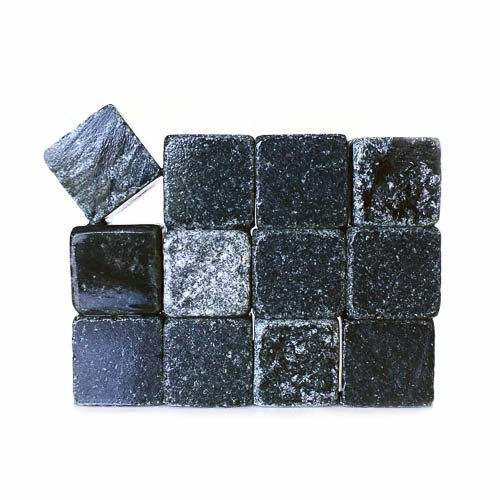 Made from recycled soapstone, this modern-day version of the ice cube cools down any small volume drink without the melted water. Simply freeze and pop them into whiskey, scotch, liquor and even wine. These sophisticated rocks chill the drink without diluting the taste. Coffee or tea losing its heat too quickly? Pop one or two rocks into the microwave, drop them in your mug and enjoy your heated drink for longer. Our rocks won't scratch your barware either; our cubes have no sharp edges. The stones in this set chill your drink about 12 degrees (using 3 stones). Results vary depending on volume and starting room temperature. Soapstone is the only non-porous, odorless, tasteless and a natural food-safe stone used in the home. Due to the high density of the material, soapstone retains temperature better than stones like granite or marble, so you can expect a sustained chill or heat. 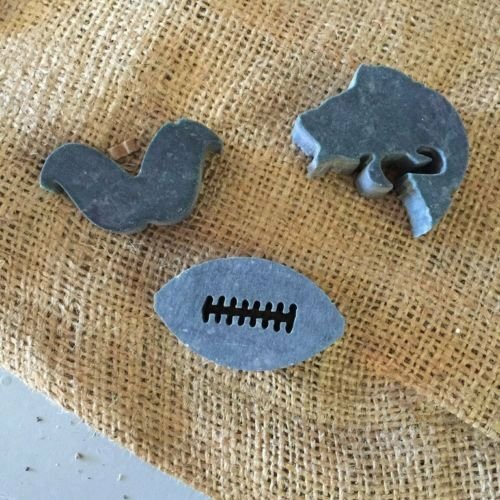 Soapstone is non-reactive to most common household cleaners and is dishwasher safe. SPARQ Home offers a full line of entertaining products designed to bring an elegant feel to any occasion. Specializing hand-crafted soapstone items, SPARQ Home delivers high-quality and visually appealing serve ware and tabletop products. Chill your drink without diluting it when you use SPARQ Home Whiskey Shapes - Cowboy Set. Cool this set of 3 stones in the freezer, then use them to keep your drink at a refreshing temperature for your next dinner party. These whiskey rocks are made of sturdy stoneware, so they're reusable and easy to clean. The perfect gift for your favorite whiskey aficionado. Put a chill in your whisky without diluting your drink. 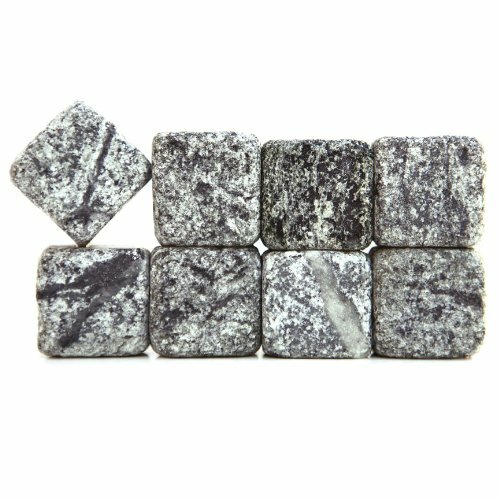 Whisky Stones Soapstone Large Set of 4 (P/N 17989). 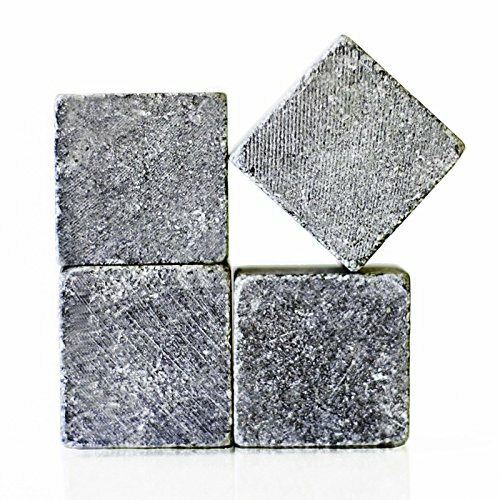 All natural soapstone whisky stones are a must have for lovers of fine whiskies and bourbons. 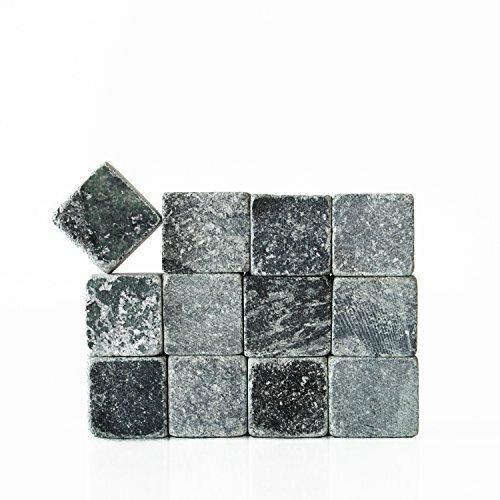 These whisky cubes are milled from genuine soapstone and handcrafted in the US. 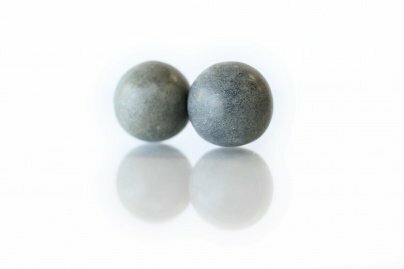 Scandinavians have used granite rocks for this same purpose for hundreds of years, but soapstone has superior thermal properties and, being mostly composed of talc, won't scratch your glass. Whisky stones will impress aficionados who enjoy their beverages with a slight chill, but don't want water diluting the perfect balance of flavors in their chosen spirit. To use, store the cubes in your freezer for at least 4 hours, add a stone to your beverage, and let stand 5 minutes. Enjoy. Hand wash after each use. Each stone measures approximately 1 13/16 inch square. Set includes 4 stones. 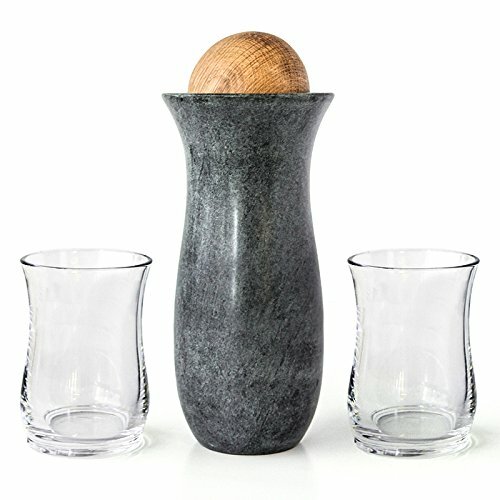 Compare prices on Sparq Whiskey Stones at ShoppinGent.com – use promo codes and coupons for best offers and deals. Start smart buying with ShoppinGent.com right now and choose your golden price on every purchase.